Opening hours: Monday to Friday 9am-12:30pm and 2pm-6:30pm. Saturday 9am-1pm. Most of the larger stores and retail outlets in the main tourist areas may remain open through lunch hours. Most shops are closed on Sundays. Those who visit the Azores can count on seeing and experiencing plenty of natural wonders: lakes and mountains, forest reserves, natural and recreational parks, protected landscape areas, endemic flora and fauna, and rare ecosystems. The islands hold endless possibilities for those who venture off the beaten path and get up close with the natural marvels found at every turn. Landscape of strange beauty, but visiting is recommendable to anyone on Faial Island. Capelinhos volcanic eruption began in September 1957, in the west of the island about 1 km from the coast, where it was the lighthouse Capelinhos. During a year and a month it has not ceased its activity - occurred more than two hundred earthquakes before the volcano erupts - pushing many of the inhabitants to abandoned the island of Faial. 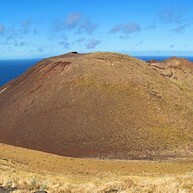 During the year that it was active, the Capelinhos volcano Capelinhos connected to Faial through an arm of magma, and it added about 2.4 km2 in area. The volcano climbing is one of the most astonishing and unique tours in the Faial Island, presenting nevertheless some dangers and difficulties. 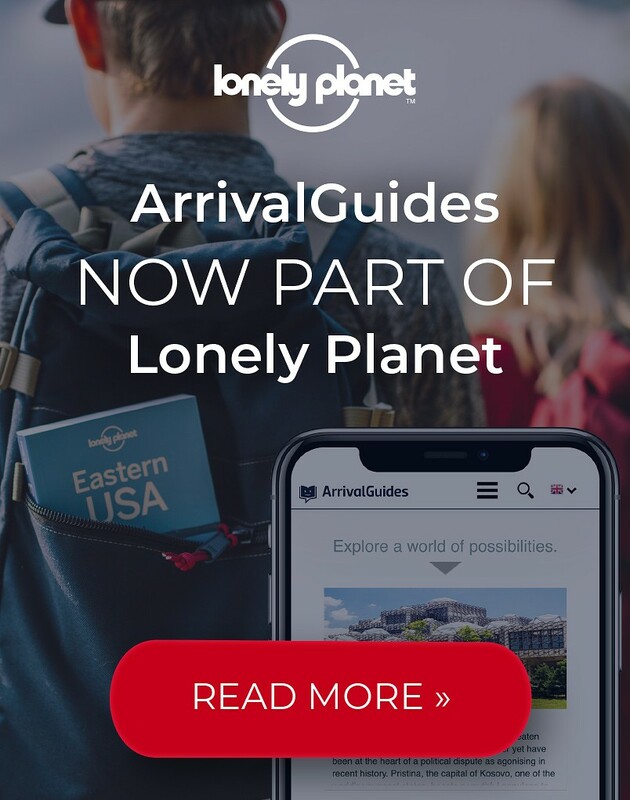 There are some predefined itineraries and also official guide service, which is recommendable to use. This monument of unusual beauty was shaped by nature over thousands of years, acquiring its vertical format, which stands in the landscape. Sliding by basaltic rock, several rivers end in a waterfall. Near its base are the so-called Aguas Quentes, cauldrons boiling sulphurous water. 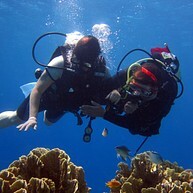 Diving day and night, in sandy, rocky or mixed seabeds, in caves or shipwrecks. The potential of the Azores is almost endless in terms of diving spots and types of diving. It offers adequate spots for various experience levels, from beginners to professionals, and the adventure can start with simple snorkeling in order to leisurely enjoy the abundant marine life of the archipelago’s crystal clear waters. On the other hand, diving in an ocean bank is a guarantee for an adrenaline rush and for memories that will persist in our mind. When we return, both a certainty and a doubt come up: the desire to return to the sea and the difficulty in choosing a new spot to discover. Located in the beautiful and green island of Sao Miguel, Lagoa do Fogo is the second largest lagoon on the Azores, and also the highest, classified since 1974 as a Natural Reserve, for its natural value and landscape. It’s worth exploring the natural and scenic beauty of this natural wonder and its caldeira, where the walls reach up to 300 meters of slopes. The Trail "Lombadas Lagoa do Fogo" creates a stunning effect for hiking where you can better observe the interesting flora and fauna characteristic of this geological phenomenon. Sete Cidades Lagoon is the largest freshwater lake in the Azores, with a length of 4.2 km and a depth that reaches 33 meters. Declared one of the 7 Natural Wonders of Portugal, in the category of Non Marine Aquatic Zones, it consists of two lakes - Lagoa Verde and Lagoa Azul (green lagoon and blue lagoon) - linked together and surrounded by a breathtaking scenery. Classified as Protected Landscape by Natura 2000, this natural wonder is surrounded by an extensive green area and beautiful rocky cliffs covered with trees and flowers. On the island of Terceira an extraordinary volcanic phenomenon happened, one of the most spectacular of the Azores. 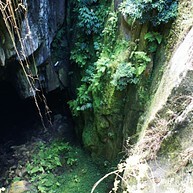 The Algar do Carvão is located within the Caldeira Guilherme Moniz and is accessible to visitors. 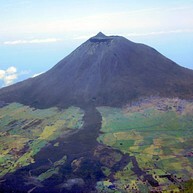 It developed in the form of a volcanic cone. Inside access is through an artificial tunnel and a staircase, where we can see the route taken by the river of lava ejected by the volcano but hampered by a thick wall of stone. The highlights are the underground lake and the set of stalactites and stalagmites of volcanic glass. The Furna consists of a tunnel 100 meters deep, which ends in a cave with 180 meters in diameter with a dome that reaches 80 meters height. In the depths you can find a lake with about 130 meters in diameter and a maximum depth of 15 meters. 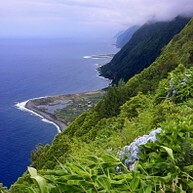 Fajã da Caldeira de Santo Cristo is located on the northern coast of the fabulous São Jorge Island. This is probably the most famous and beautiful Fajã in the Island. 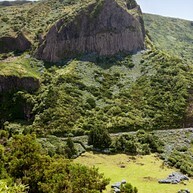 The access to the Fajã is not easy, yet it allows the contemplation of overwhelming landscapes through a working trail, known as the Fajãs Itinerary (“Percurso das Fajãs“). This Fajã is also famous among surfers and body boarders due to the good conditions for these kinds of sports. A famous crater with two lakes in its interior, the Cadeirão is the symbol of the island of Corvo. 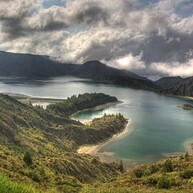 This crater of 3400 meters long and 300 meters deep is the cradle of the island, which was formed by a volcanic eruption. 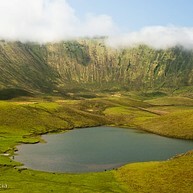 On this site there are two quiet lakes with small islands which tradition associates with representation in the Azores (excluding Flores and Corvo). This point also serves as a lookout, with great views over the island. The Azores are nowadays one of the world’s biggest whale sanctuaries. Among resident and migrant species, common or rare, over 27 different types of cetaceans can be spotted in the Azores. It is an impressive figure and corresponds to a third of the total number of existing species. The Azores are in an ecosystem with unique characteristics. With the presence of majestic whales and friendly dolphins, the blue from the Atlantic Ocean becomes even more magic and blessed around the nine islands.